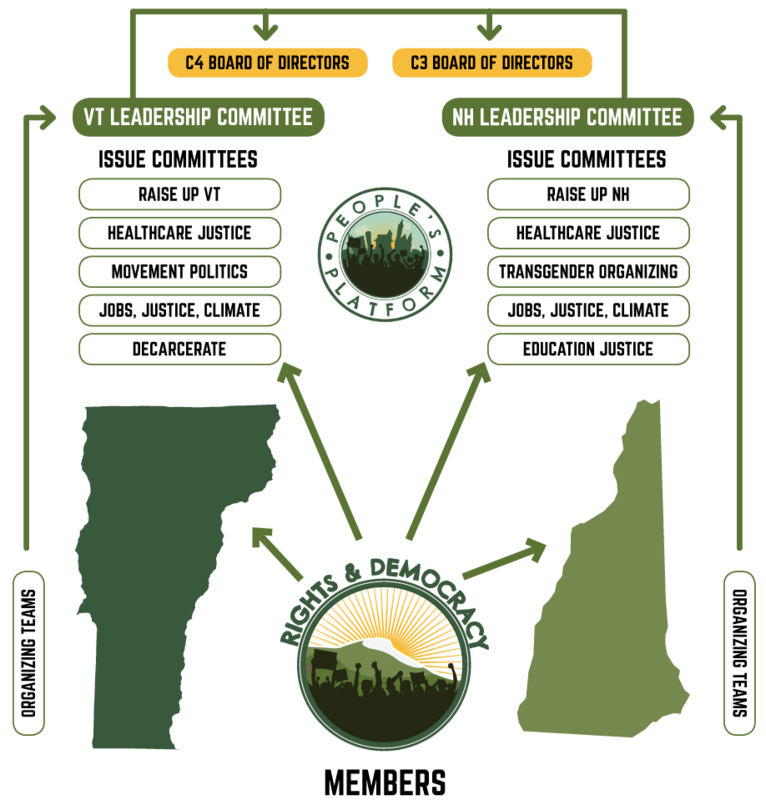 Rights & Democracy Education Fund (RADEF) was founded in 2015 by a powerhouse team of longtime Vermont and New Hampshire progressive and labor leaders. RADEF’s founders came together when they recognized the need to combine grassroots movement-building with direct political action in order to better move forward a multi-issue progressive agenda. RADEF is also committed to supporting leadership development and has a strong youth member organizing program, especially around climate work. Our mission is to bring people together to take action together to build healthy communities and make the values of our communities guide the policies of our government. We do this through grassroots relationship development, leadership training and mentoring, policy campaigns, and bringing people to speak directly to decisionmakers in our communities. We are affiliated with a bi-state Vermont and New Hampshire 501c4 organization called Rights & Democracy Project.